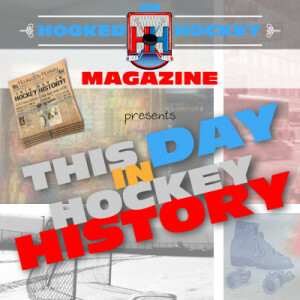 Today in hockey history, the birth of an NHL franchise, a dominant performance that led to the end of a streak for another team, an NHL ironman extends his streak, one of the most impressive Mario Lemieux facts that won’t appear on the stat sheets, and an oh-so exciting scoreless tie. April 5, 1970 – The Black Hawks scored a team-record seven goals in the third period, including another team record of six goals in a span of just 9:13, in a 10-2 over Montreal. The win clinched first place for the Hawks, who had actually finished last in the previous season. Also, the win eliminated Montreal from the playoffs for the first time in 22 years; the Habs finished tied with the Rangers for fourth place, but the Rangers owned the tiebreaker by having scored just two more goals. April 5¸1987 – In the final game of his 12th NHL season, Hartford Whalers’ Doug Jarvis played in his 962nd-straight game. He also played in the first two games of the 1987-88 season to extend his NHL record to 964 games, but then retired, deciding he had played enough. Either that or no NHL stat sheet could comprehend any more games. April 5, 1997 – Mario Lemieux formally announced that he would retire after the end of the 1996-97 season. The announcement actually came while he was leading the NHL in scoring with 117 points (he finished with 122 in 76 games)! So why would he retire? Well, in January of 1993, he was diagnosed with Hodgkin’s lymphoma (a type of cancer), which obviously took its toll, in addition to back problems and back surgery he was having. It’s incredible that he was able to play later in that year and 4 years after that. And of course, he would come back in the 2000-01 season for five more seasons. Incredible that a man that went through so much was able to not only play hockey at the professional level, but to dominate it. April 5, 2002 – Washington’s Olaf Kolzig recorded his 27th career shutout…but Ottawa’s Patrick Lalime also recorded a shutout (his 20th). It surprisingly was the first scoreless tie in Washington in the team’s 28-year history…they didn’t record many shutouts in their terrible early years.